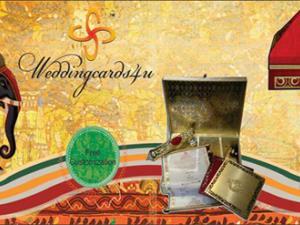 We are manufacturer of the Indian wedding cards located in Chawri Bazar, Delhi.We Create Exclusive Wedding Cards, using Digital Laser printing, Laser Engraving Machine, Silk Screen Printing, Foil Printing on various material like Shimmer Paper, Silk, Satin, Tissue, shaneel, Velvet, Brocade & different Indian Traditional materials like gems, semi precious stones and decorative gold & silver brooches, Silk Wedding Box Invitations Decorative mdf (wooden) boxes for sweets (chocolate) matching with your card to make your card look elegant and touch of Indian Traditional Ceremonies which make invitation exclusive within your budget.We've building Trustful & Friendly relationships with our clients from 1977. Because we are small artisan wedding cards shop, you?e not just a number and name to us. when you work with us, you'll be working with passionate people who love Designing & making a Designer cards. We visualize your ideas and feelings & love to serve till Satisfaction. 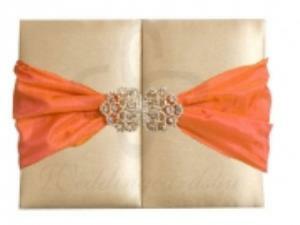 You will experience a feeling of pride in inviting your guest with our creation & you selection.Now we are customizing our exclusive wedding card range, indian wedding cards, Scrolls wedding cards, Silk boxes, wedding card with brooches to UK, USA, Canada, South Africa, Malaysia, Singapore, Germany, Mauritius, other Asian, European and Gulf countries.